September 18, 2010 – Desk lamp. | What I got rid of today. ← September 17, 2010 – Tom’s. 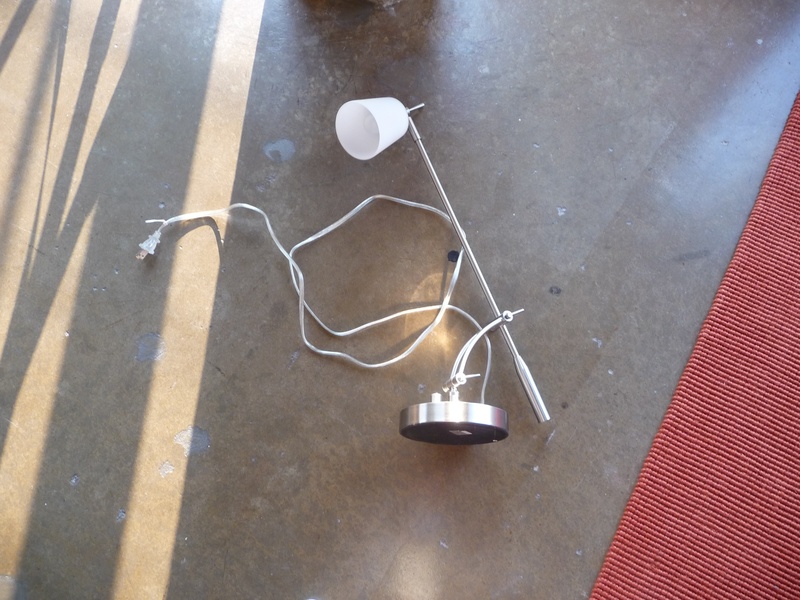 September 18, 2010 – Desk lamp. Can't believe I was hanging on to two of these. I have one desk, it’s not big enough to hold a lamp…and I own two working desk lamps. I think this lamp is a good example of how we get surrounded by so much stuff. It still works, I still like the design, I might use it someday…etc. etc. PERSONAL ANECDOTE: Yesterday, a friend offered me a book and asked me if that was OK. I think that’s interesting, that some people jump to the conclusion that I’m not buying or accepting things while I’m doing this blog. The answer is yes – I am buying/receiving things I want, but suffice it to say…I’m looking at them/considering them a lot harder before I take them into my home. I’ll be blogging more about this later. This entry was posted in Electronics, PERSONAL ANECDOTE. Bookmark the permalink.